Lee Stanley was involved with the production of Un-cut’s Uncalculated Sum and recommended me to Karen Boardman at Crisis Management for the debut album of Karima Francis, a talented and distinctive singer/songwriter. The producer is Ken Nelson and it was fascinating to see him and Karima work. They are both incredibly focused on the project and intent on every note and sound that goes into each song. The result should be an album of passionate, crafted songs. We used a quartet of players from the Halle and recorded the songs at Parr Street in Liverpool. Here’s Karima with 3 of the players on a brew break. A project that started in January has finally come to fruition with arrangements for American hip hop artist Rhymefest. The contact came through my North American representation, Jen Chapman at Stronghold Entertainment. His tracks are ideal for strings; powerful and emotional music that mixes genres and brings in diverse influences. He was happy for me to try some experimental ideas, just hope they end up in the mix! The songs mix the fun with the serious, and it’s that ‘bitter-sweet’ kind of combination that is such an emotional winner for me. I can’t remember exactly how many weeks (or months) ago it was that I put my head down into a great run of exciting work that has had me buzzing (great) and missing out on family life (not great). 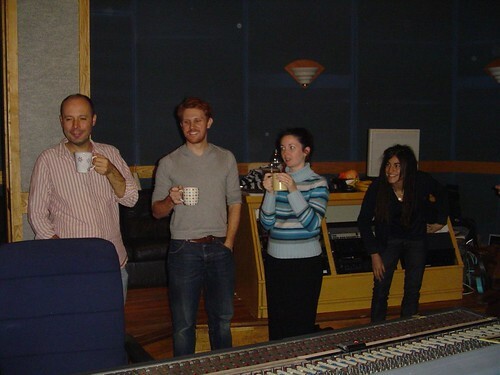 One of the biggest projects has been production recordings for Cunard, from Duncan Waugh and Chris Taylor. This project comes back regularly, but never before has it been so gigantic, with an enormous number of arrangements ranging from Sinatra to Simon and Garfunkel and classics. As ever, the level of professionalism that goes into managing the project has been impressive, with a raft of musicians and arrangers kept in work – long may it continue. Somehow, Chris Taylor also found time for the Ray Quinn tour and asked for string files for 6 songs. 2 albums that have been many months in production have finally been released; Jade Gallagher in the UK and Small Town Sleeper in the US. Both, I know, are grafting hard with promotion and gigs. Jade has another Friday Night is Music Night with the BBC Concert Orchestra coming up and I’ve arranged strings for a beautiful version of The Way You Look Tonight. These were inspiring projects to work on and I’m hopeful they will both do well. Jay Price is a prolific library music composer with West One, whose tracks are never predictable – his latest project is an album of Chinese-influenced tracks, which should get much usage in media coverage of the 2008 Olympics. Darren and Tunde from Futurecut came to me for an arrangement a while back for an amazing Irish singer, Laura Izibor. I put together a demo, did the updates and supplied the score for a string session in London. Then I forgot about it. D & T are currently in LA (on a different unbelievable project!) and have sent me another Laura Izibor track to record in Ireland, hopefully, next week. 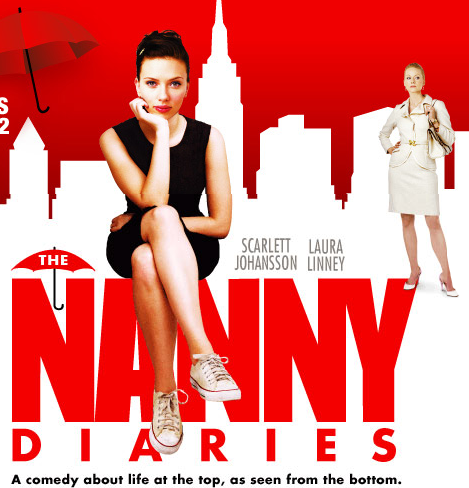 This reminded to check what the previous arrangement was; the song was Shine and it features on Laura’s website and myspace…..and it’s the theme song for a new movie – The Nanny Diaries! My strings only feature from the breakdown through the last chorus and into a (strings only) outro – nothing special I guess, just doing the right kind of thing! After a great day at Parr Street Studio with Karima Francis and Ken Nelson, I’ve updated my Flickr photos. Can’t seem to embed them in a page here so this link will open the slideshow.